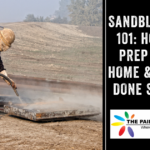 Home improvement can be daunting to those new to the process, every turn can be full of unfamiliar terminology and jargon. Drywall is especially overwhelming, as it comes in many different varieties and uses many different names for the same material. Here at The Paint Manager, we’re happy to clear up the confusion around your upcoming drywall project! Drywall refers to the substance that is typically used to make interior ceilings and walls in the home. Drywall is created by placing a material known as Gypsum between two very thick sheets of paper, or occasionally two sheets of fiber. It is an alternative to plaster, which can take a week to apply, whereas drywall can be installed in a home in a day or two with the assistance of an experienced and knowledgeable drywall professional. Drywall is known for being an efficient and fire resistant building material, and comes in many different varieties. 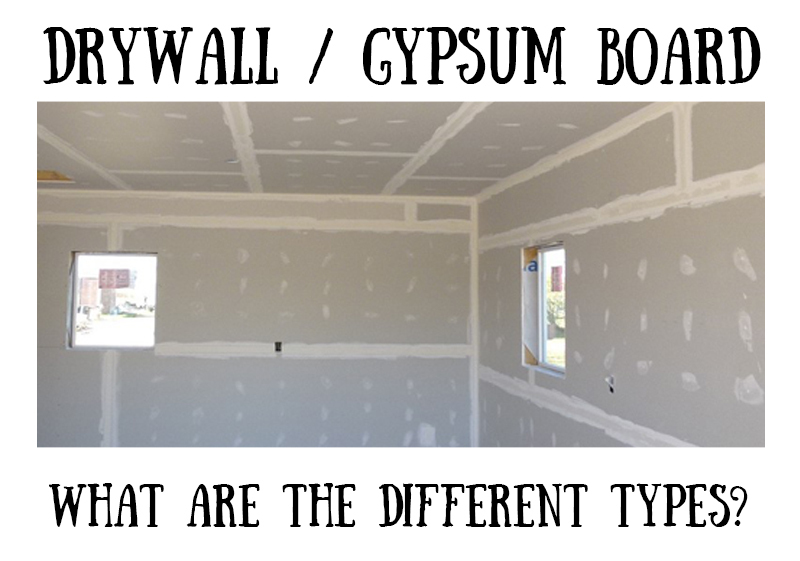 Gypsum Board is both another name for drywall and an element of what drywall is made out of. Gypsum is a naturally occurring element found in the Earth. Also known as hydrated calcium sulphate, Gypsum is known both for creating aesthetically pleasing crystals and its use in construction. When heated to 150 degrees Celsius (302 degrees Fahrenheit), the water in these crystals leaves the substance and it can be used as a building material. Gypsum is naturally fire resistant, which makes it attractive to builders. It can be used both as a plaster on its own and as the binding substance in drywall between two sheets of thick paper or fiber. Sheetrock® is simply a brand name for drywall. Not all drywalls are brand name Sheetrock®, but Sheetrock® normally refers to drywall. Gypsum is known for being slightly fire resistant without any additional treatments, but Type X drywall is known for being even more fireproof than other varieties because it is thicker and sometimes has additional fire treatments. It is not uncommon for building codes to require that Type X Drywall be used in place of other, less thick and less fire resistant varieties. As the name implies, purple drywall usually comes in purple sheets. It is known for being moisture resistant and mold resistant. It is the preferred type of drywall for spaces that are wet, such as basements prone to leakage. Green Board Drywall is moisture resistant but less so than the purple variety (it is not recommended if the space will be directly wet). It is a favorite for bathrooms and kitchens, where it is often used underneath a titled service. Blue Board is also known as plaster baseboard. 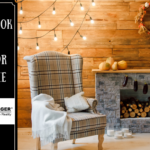 It is a favorite type of drywall for veneer projects; as it is designed to make the process of veneer plastering easier with a special texture. Its surface is more absorbent than other types of drywall. Soundproof drywall is popular among musicians. It can help keep a recording space quiet while keeping the sound of loud music out of the surrounding space. It is thicker than other varieties and consists of wood, gypsum, and polymers. 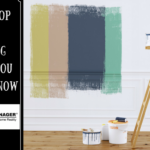 Don’t stress and try to do your drywall project by yourself, the experts at The Paint Manager can have your project completed in no time-and done right! Through January 5, 2017, we will be offering up to 50 percent off on our services. 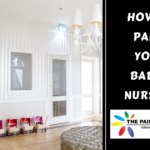 Don’t wait, contact the Paint Manager today! DIY Drywall, Good Idea or Not? We all want to live in a beautiful, clean and green home. But, it requires quite an effort on the part of the homeowner to maintain a house that is striking, beautiful, clean, and which is full of greenery. A feat difficult to achieve, homeowners constantly have to strive hard to create and maintain a perfect home. As a homeowner, you don’t only have to ensure that your home exteriors look beautiful, but you also have to make sure that the interiors, landscape, driveway, pool, and everything else in your house remains in perfect order. A lot goes into creating a home that is beautiful to look at, and a delight to stay in. From a well painted exterior, a nicely maintained landscape, and a perfect pool setting to stylish furniture, attractive paint on the walls, and more, you have to plan everything to perfection. Integral parts of your home, walls and ceilings, play an important role in making your house look beautiful. And, when the interiors of your home have drywall ceilings and walls, it looks even better. But, like everything else, even drywall doesn’t last forever. It requires regular upkeep, and at times replacement, when damaged beyond repair. Though, more often than not, repairing is all it takes to give your drywall a perfect finish. Needless to say, without proper paint and finish on your walls and ceilings, your home interiors can’t look elegant. And, when the wall itself is not in perfect shape, then no amount of paint, good or bad, can produce the looks that are flawless. With drywall, you get a perfect finish, and then the paint on these walls look great. There are some home jobs that you as a homeowner can do on your own, but you just can’t repair everything in your house. But, there are some homeowners who think they can fix anything and everything that needs repair in their home. It is true that internet helps you learn a lot of things, be it fixing, or repairing a door knob, or changing your sink faucet, but there are some home jobs that are best left to professionals. And, repairing drywall is one such work, which should only be left for professionals to do. Drywalls are building materials used as a substitute for wooden or concrete walls, which are not just inexpensive, but it also gives a wonderful finish. The only flip side to this is that drywall is softer in comparison to concrete or wooden walls, and therefore they are more prone to damages if proper care is not taken. Of course, when you have damaged walls at home, you need to get it repaired, or else it can spoil the beauty of your house. When you watch videos online of people teaching you how to repair your drywall, you are bound to think that it’s an easy job and a perfect DIY project, but we tend to forget that the precision it requires (in repairing) calls for professional help. Moreover, trying to fix a drywall yourself you might end up making the repair work even costlier, as the damaged area can increase further, which would then escalate your total cost. 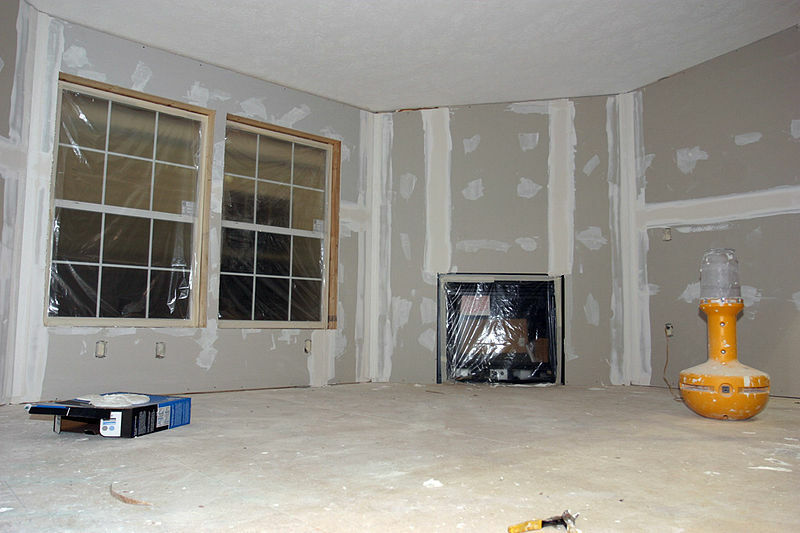 Hence, whenever you need your drywall to be repaired, it is advisable to call in experts. 4 specific reasons why you should call in professionals for drywall repair The number one reason why you should call in experts if you have a damaged drywall is to maintain the peace of your house. Yes, any DIY project creates some amount of stress in the house. But, on a more serious note, here are 4 specific reasons why you should call in professionals for drywall repair. They (read professionals) know their job well – An expert drywall repairing company, apart from knowing their job well, also realizes the unique needs of each of its customer, and therefore presents to you a customized solution. Drywall repair professionals have been through it all and seen every kind of damage your drywall would ever experience. They know what exactly needs to be done to fix the problem on your drywall. From estimates to the exact course of action, you have everything in black and white in front of you, which makes it easy for you to take a call whether to repair or replace the drywall. 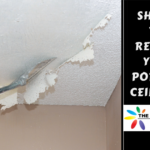 They have loads of experience and expertise – There is no substitute to experience, and with it comes the exposure and expertise of repairing the drywall, no matter how bad the damage is. DIY enthusiasts, or individuals and companies who don’t have sufficient experience and expertise of repairing the drywall could spoil your project and increase its total cost, whereas professionals do their job to perfection. It saves your precious time – Time, they say, is money, and you of course don’t have enough of it to waste. A project which professionals would be able to finish in a couple of hours, people with less, or no experience will do the same work in a couple of days. In today’s fast paced world, you don’t have that much of time to waste, do you? It therefore makes no sense to waste your precious time, instead it is better to save it and utilize the same in other productive work. Hence hiring professionals to repair your dry wall will save you time. They have the right equipment – Being in a different profession, it is highly unlikely that you would have all the tools that are required for drywall repair. When you hire professionals, one thing that you can be assured of is the latest equipment for the repair job of your drywall. Needless to say, you can spoil your wall further if you don’t have the requisite equipment. Moreover, just by having the right equipment does not guarantee that the job you do on your own will have great results because you should also have proper practice of operating these tools. And, when you hire professionals, not do they have the right equipment, they also know how to use it, which produces better results. Apart from the reasons mentioned above, you also run the risk of injury and harm to your health, when you plan to repair the drywall on your own. Whereas, when you hire professionals, they not only know how to avoid injuries, but they also take necessary precautions that are required during the process of drywall repair. Over and above this there is a huge difference in the quality of repair work done when you do it on your own, and the drywall repair that is undertaken by professionals. If you are in and around Greater Central Florida and drywall repair is what you are looking at, don’t take chances of doing it yourself. Just get in touch with The Paint Manager, paint and drywall experts, and leave your worries to the professionals. We have been in this industry for long to know the nuances of the trade, and know exactly what it takes to repair any kind of drywall. We also have all the right tools and trained manpower who know how to use them efficiently, which ultimately gives your drywall a perfect finish. Painting your home’s interior can be of the most fulfilling, lasting improvements you can make in your home. Of course, redesigning anything in your home can become a tedious job, especially if you do it yourself! But what happens when DIY projects go wrong? No one wants to live in a house with a bad paint job. Your home should be welcoming, comforting and fulfilling to live in. When it comes to DIY projects, you quickly realize that some things really do require a pro. No matter how easy it may seem early on, it is fairly easy to slip up along the way. But, if you’ve decided that you want to rise to the challenge of painting your own house, let us be your guide to a beautiful home. Here are a few things you can do to avoid the seven blunders of house painting, and earn your wings as a DIY painting master! Consider these points a checklist for your upcoming DIY project. The fate of your home’s walls depend on it. How do you tell the difference between a professional painter, and a first time do-it-yourself-er? A pro always takes the time to prepare the surfaces. Pay attention to those who do commercial painting. You will notice that they spend time cleaning the walls, putting tape around the edges, and applying primer. Pros also cover the surrounding furniture and use drop cloths to protect the floor. You might even notice that doorknobs are wrapped and switch plate covers are removed. Wash and clean your walls long before you pick up the paintbrush. Use old newspapers, painter’s tape and plastic to cover everything you wish to protect. Look for cracks, holes and chipped paint, and fill them before starting. If you do make any repairs, make sure you sand down the surface before applying primer or paint. Invest the time in prepping. A great final result requires a strong foundation. When you go to the store to purchase paint, never buy it based on how it appears in the store. The color will almost certainly look very different under bright, florescent light. 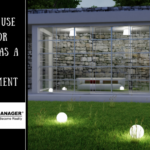 Do not expect it to have the same appearance in the sun or under standard home lighting. In fact, Apartment Therapy recommends these 10 tips for choosing colors for your kitchen and bathroom in this post. The same goes for that color you saw in a magazine. Any color paint will look much different under professional lighting compared to how it will look in your dining room. Do not rush when making your color choices, either. The best way to avoid picking a color you will inevitably hate? Choose multiple shades, and bring home samples of each of them. Try them each on one of the walls you are planning to paint. Compare each one under your home’s natural lighting. Yes, this may mean more time until your walls have a shiny new look. Be patient. The waiting will pay off soon enough. Getting the right kind of tools for a DIY project can make or break the end result. Though cheap brushes, rollers and paint sprayers may tempt you, never compromise on the quality of the tool. Good brushes have top-notch bristles which allows you to paint faster, with a professional-looking end result. When it comes to rollers, look for one with a strong, thick foam. A cheap sprayer will fail at spreading paint evenly. Some will even burn out midway, leaving you without a tool to get the job done. Use painter’s tape wherever required. Never use masking tape in its place. If you want a professional quality paint job, use professional quality tools. There are numerous types of paint on the market. Knowing what types are appropriate for the job can make or break your project. In high traffic areas, such as the hallways or entryway, use satin finish. Accent walls work best in matte finish. Knowing which paints work best with specific tools will help prevent major blunders as well. FYI, not all paint works inside a sprayer! Always seek the opinion of a professional. You can often find experts on paints in the store that you purchase from. 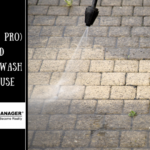 Let them save you from the mistakes you did not even know you could make, like using pressure washing services inside, rather than outside. Light makes a lot of difference, and if you paint a room in dim light, your final result may be deceiving. You can see greater details in bright light, meaning that the work you assumed looked perfect, might actually be pretty sloppy! Open the windows and let the light in while painting. Avoid painting after the sun goes down and under harsh florescent lights. If you’ve ever had a manicure, you will probably know why doing this can be a problem. There is a reason the nail artist removes the old coats of polish. Painting over an already glossy surface could end in an uneven finish, chipping, cracking, or discoloration. Paint requires a slightly gritty surface in order to stick. Glossy walls lack the right texture to hold on to the paint properly. To avoid this scenario, prepare the wall properly. Sand the painted walls down gently, creating the necessary grit to hold the paint. Then, wipe down the wall with a wet cloth to remove dust and debris. Once the wall is dry, start painting. Buying a 2-in-1 paint and primer sounds like a great way to save time and money, right? Wrong. Many first-time painters are unaware that this product only works with smooth, clean walls. In the case of a rough or textured wall, use a separate primer. On a textured wall, the substance creating the texture, such as drywall, has absorbent properties that can act as a sponge to a fresh coat of paint, leaving the wall blotchy and uneven. 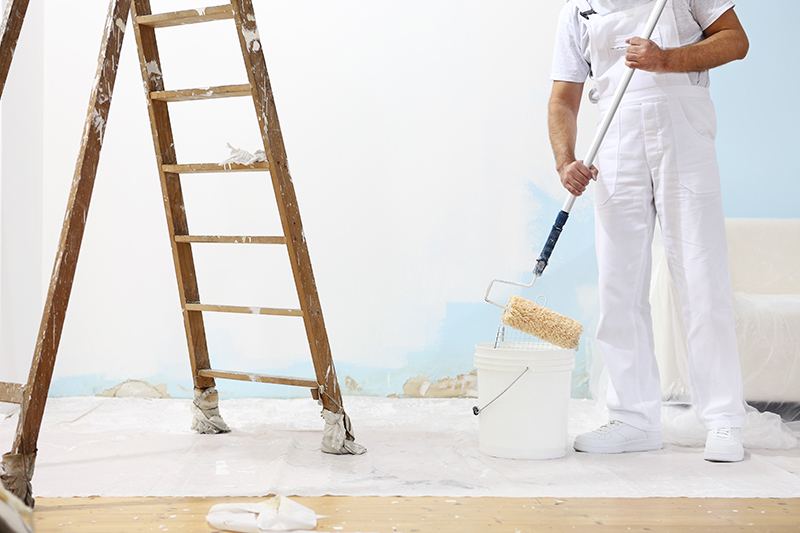 If your home makeover plans include a glossy wall, pick up some primer. A bonding primer will stick straight to the surface, providing a good, clean backing for the shiny new color. 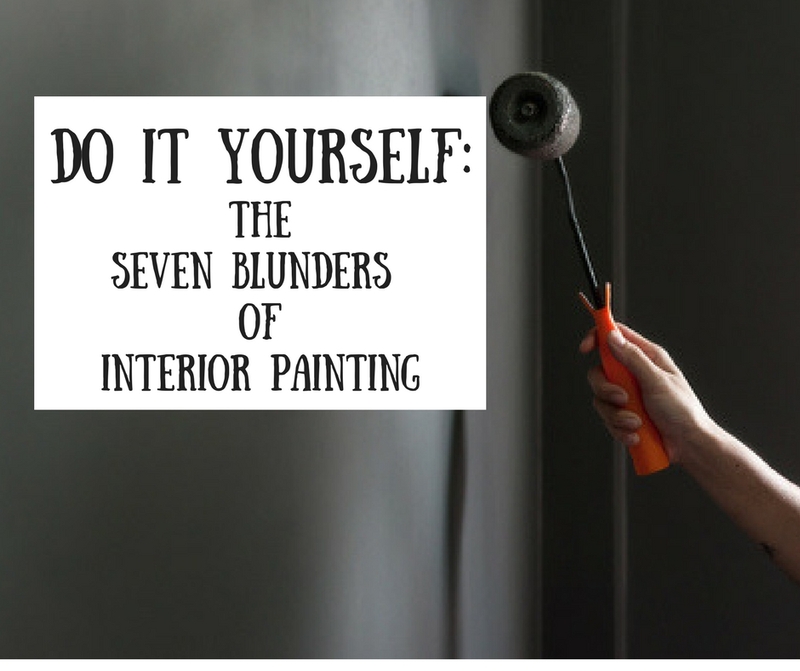 Avoid these all-too-common painting errors, and tackle your first do it yourself home painting project like a pro! As with most home improvement projects, practice makes perfect. Relish in the experience of taking the fate of your home’s look into your own hands. Before things go wrong, however, it is always smart to consult a painting contractor before picking up that paint roller. 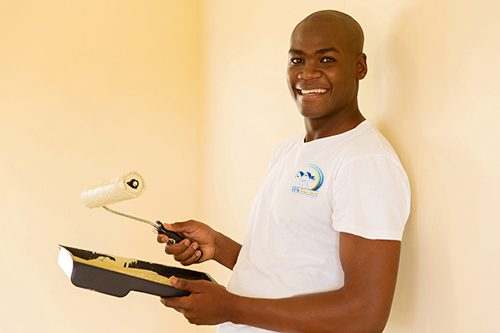 Before things go wrong, call The Paint Manager for all of your residential painting needs. Welcome to The Paint Manager your total resource for all things regarding paint…pressure cleaning…and other handy kinds of stuff. Our online presence is targeted at being your one stop shop for almost anything and everything you can think of. Don’t worry, if what you’re looking for isn’t here give us a little time or drop us an email and it will be here ASAP. For our first blog post, here is an article from Angie’s List about Hiring a handyman. There’s no need to call a specialty contractor for some home repairs. A handyman can do a variety of small home improvement projects that save time and money. A handyman or handy woman is a skilled “jack of all trades” who can complete a wide range of repairs or home improvement jobs. A handyman, or handyman company, usually charges clients an hourly rate, plus material costs, regardless of the task. Many homeowners compile a list of repairs and hire a handyman to complete the list in a single visit. The term “handyman” is loosely defined. Some handyman are self-trained, while others have formal training in various aspects of construction and home repair. 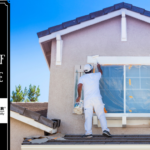 Some specialize in a few types of home maintenance, such as painting, carpentry, or tiling, while others may have additional skills such as plumbing and electrical expertise. There’s no national standard or regulation for handymen. Licensing and regulation vary by state. New Jersey, for example, requires handymen who work for a profit to register with the state and carry insurance. California requires handymen to carry a license from the State Contractors License Board to work on any project that exceeds $500 in labor and material costs. 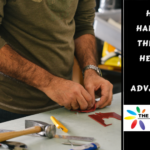 Find out before you hire the handyman if he or she has the skills needed to complete your project. How do I know if I need a handyman or contractor? The scope of the job and level of skill required to complete it should determine whether you hire a handyman or contractor. A handyman is not the best option for a large or complicated project that could take a long time to complete and require the help of multiple workers. You shouldn’t turn to a handyman either if you need an emergency service for plumbing, electrical or appliance work unless the handyman is licensed in that trade. If an unlicensed person does plumbing or electrical work you have no guarantee that the work has been done to code, which could affect your homeowners insurance policy or any claim related to the work. Use a contractor or specialist for remodeling work, room additions, and projects that require heavy-duty equipment or licensed professionals like electricians. You’ve got an ever increasing to-do list of home improvements like changing out a bathroom faucet, replacing missing shingles on the roof and painting a kitchen wall. You could hire a plumber, roofer and painter who have conflicting schedules and their own service charges, or you could hire a handyman to complete all three projects in one day for one hourly rate. Because many handymen charge by the hour, a homeowner can save time and money on home improvement projects by hiring a handyman to complete a wide range of projects for a single hour rate. A service charge from a plumber or roofer to come to your home could equal or even surpass the cost of hiring a handymanfor a few hours. You’ll also less likely to be overcharged if your hire a handyman. Unlike a general contractor or specialist who is more likely to price a job based on the estimated amount of time it will take to complete, you only have to pay a handyman for the hours he work, unless you agree on a flat rate for a project. Handymen are able to keep their rates low because they don’t have to pay additional workers, so they have lower overhead costs than contractors or large companies. Although handymen have less overhead, they do supply their own tools. So there’s no need to invest in extra equipment you won’t use often or at all. However, you will need to supply the materials. When you hire a contractor or specialist, they usually supply the materials, and often at a markup. If they don’t provide the materials, they may not guarantee a repair or your choices are limited to what they have in stock. When you choose your own materials you know how much the product costs and stay within your budget. You also get to choose the manufacturer, finish and register any warranty agreement. Many homeowners turn to handymen when they have a project they want completed, but don’t know who to call. Handymen have been known to do all types of work from setting up playground equipment and gas grills to hanging holiday lights and decorations. Handymen are best utilized for small, “honey-do” types of home repair work. The following projects are ideal for most handymen. Many handymen are capable of completing small plumbing jobs like installing new fixtures or repairing a leaky faucet. However, complex projects that require relocating plumbing within the home should be left to a licensed plumber. Adding a fresh application of caulk to gaps between windows, doors and siding is a great way to improve energy efficiency and lower utility costs. Over time, weather can take atoll on wooden decks and porches. A handyman can replace broken boards, apply a finish or sealant and improve or upgrade your deck or porch’s safety and appearance. It’s not a complete task, but cleaning gutters is messy and involves climbing on the roof. If you hire a professional handyman with the right equipment and experience for the task you won’t have to risk injuring yourself. A handyman can also install gutter guards to prevent seasonal clogging. If you have minor damage to your home’s exterior, such as a loose piece of siding or a missing shingle, hiring a handyman to repair those items may prove to be more cost-effective than hiring a specialist. If you have a small painting job, like a wall, garage door, touchup trim and scoff marks and repair small holes with spackle, consider a handyman. But remember, a handyman typically charges by the hour, so larger jobs are better suited for a professional painting crew. These small tasks can be easily accomplished by a homeowner. But if you hire a handyman with the right tools and experience, these wall-mounted items will likely be hung correctly and and without damage. Interview several candidates before hiring a candidate. A handyman works closely with you in your home so you want to pick one that you feel comfortable being around. Use the following tips to help you choose the best candidate. 1. Define the project. 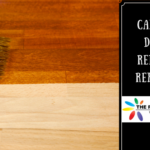 Start by compiling a list of the home repairs you want completed. Remember, a handyman is best used for small jobs such as installing light fixtures, patching drywall and interior painting. If the job requires pulling a permit, or moving plumbing or electrical wiring, consider hiring a licensed contractor. 2. Shop around. Check Angie’s List reviews and interview at least three handymen. Ask how many years of experience they have and their areas of specialization. Request references from homeowners who have hired the handyman. Make sure the potential handyman has the skills and experience to complete your project. 3. Watch out for scams. Avoid handymen who contact you with unsolicited phone calls or visits to your home. You should also avoid any handyman who refuses to guarantee the price of the job or asks for payment upfront. Reputable handymen don’t expect to get paid before the project is completed. 4. Get it in writing. Insist on a written agreement laying out the job details, costs and payment schedule. Be clear about the times you expect the work to be started and completed. It’s extremely important to get all guarantees in writing. 5. Ask for a guarantee. Many handymen will guarantee their work for up to one year. Ask about guarantees before you make a hiring decision, and of course, make sure the guarantee is in writing. 6. Inspect the work. Inspect the completed work before paying the handyman. Make sure that everything has been done to your satisfaction and at the agreed upon price. Most handymen will be happy to explain the finished work because they want you to be satisfied.